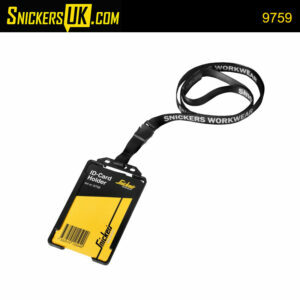 Snickers Accessories – a great range to compliment your Snickers Garments. Convenient ID badge holder that keeps your ID firmly in place. Easy to attach with a clip, whereever you want. Wear it with pride. Bringing it all together. Velcro Fastener Flexi Pocket makes life easy. Can be attached to the waiststrap belt. Wear your identity, with pride. Hardwearing yet neat ID card holder that can be worn around the neck or attached to a garment for convenient access at all times. Your call. Convenient Smartphone Pouch with firm protective flap, combining compact design with easy access to your phone. A popular standard. Two attachable holster pockets that features a smart design. Fits tool fasteners on Snickers toolvest , trousers and Snickers Flexi Pocket system. Made in extremly durable Cordura® fabric for a long service life. Relieve the weight on your hips. Hardwearing yet extremely comfortable braces for Snickers Workwear toolbelts. Hands up! High-tech and hard-wearing 100% waterproof backpack for dry and clean storage of spare clothes when you’re on the move. Freeing your hands for better things.